Comments: This fast growing vine can quickly take over an area and is considered a very undesirable and invasive plant in the hot humid South. 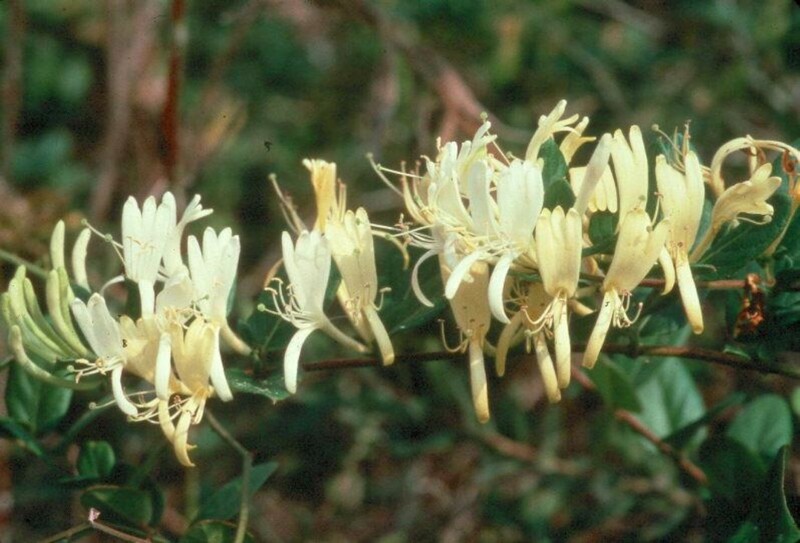 It has fragrant white flowers that yellow as they age. Flowers are present, as are the black seeds, during the warm months. Butterflies and hummingbirds are attracted to the nectar produced in large quantities by this vine. Birds eat the fruit as it ripens.